A map of the 1905-07 revolution – a precursor to the 1917 revolutions, which gave the world the workers’ councils, a staple of many revolutionary upheavals ever since. Work in progress. 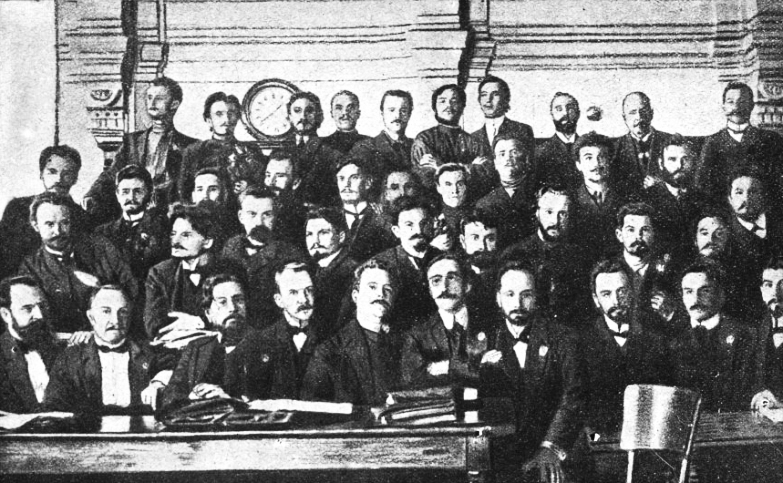 The revolution of 1905-07 rocked the Russian Empire and brought forth a new form of organisation. Growing out of the strike movement, workers’ councils, or soviets, became a way of organising and concentrating the class struggle. In some areas, like St. Petersburg, they grew in size and influence to challenge the state over control of entire cities and towns – within them, they carried the germ of a new social order. The revolution was soon crushed, but the memory of the soviets endured, only to return even stronger in 1917. The map below documents the location of the workers’ and soldiers’ councils that sprung up in 1905. It also charts a number of independent republics, many of which had a socialist character, although they varied in their class content and radicalism. The map has also been expanded with locations of major uprisings and mass strikes, but it's not a complete record. Open the menu in the top left corner to see the different categories (untick to hide a category). • All dates are New Style. • Zoom in and click on an individual location to find out more. • May take a moment to load. See also the interactive map of workers’ councils (1917-1927). UPDATE: uprisings, more republics, and some mass strikes have been added. These maps are great, thanks for making them. "May 1 was celebrated in a new style - there were no cabmen anywhere, there were no cabs, no trams were running. The street, which was flooded with bright sunlight, was crowded with people. There were processions with red flags, among which were blue Jewish and black anarchist flags."